We recently kicked off the Health Leadership Awards with mother and school food champion Allison Carmen. At IIN we are blessed to have a community filled with exceptional mothers who are dedicated to changing the lives of their family and the world. I enrolled at IIN after a genetic test determined I was at high risk for Breast Cancer. After a lifetime of struggling with my weight and criticizing myself in the mirror, I was faced with the preciousness of my body and how I could no longer afford to be at war with myself. I stepped up my self-care and, in the process, realized that my passion lay in helping women reclaim their body and ending the struggle between food and self-image for future generations. Having previously worked as a therapist, yoga teacher and bodyworker, I came to IIN seeking a connection between what I knew about mental health, spiritual health, bodies and nutrition. 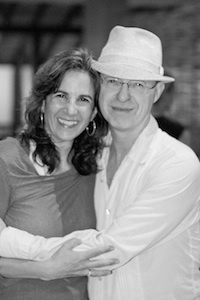 What was fantastic about IIN was that I wasn’t taught the “right” way or the “one” way to help my clients. I was exposed to dozens of theories, approaches and disciplines and because of that, I was propelled to find my way. My experience at IIN was truly integrative. The other big part of my IIN experience was - and continues to be - the people. I have met the most dynamic, energetic and passionate beings. These amazing health coaches have become my friends, colleagues, biz partners, champions, advisors and role models. 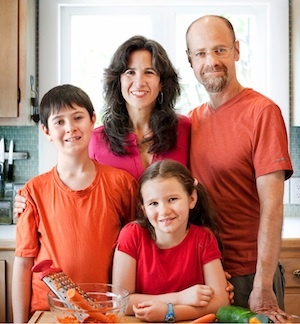 As the founder of IIN, Joshua has been the ultimate health leader and a fantastic teacher. It’s been through a few personal conversations with him that I’ve been most inspired. He reminded me to fully embrace the moment and to enjoy my “mom-ness”, while still holding onto my vision to affect the world in a big way. And today, my work is with other moms, helping them discover the fullest expression of themselves. Thank you, Joshua! This Health Leadership Award feels the same. It’s a wonderful validation that tells me I’m on the right path. For me, that means shifting the negative conversation moms are having with themselves and helping them realize a body and a life they love…so they feel like Smokin’ Hot Moms! My biggest accomplishments are the systems and programs I’ve created that make a huge difference in the lives of moms and their kids. Specifically, I’ve developed the 21-Day Smokin’ Hot Mom Challenge which guides busy moms to stop putting themselves last on their mile-long to-do list. I’m also really proud of my Healthy Yummy Kids program, which helps moms make healthy living a reality in their families. 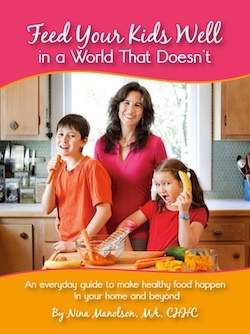 My book, How to Feed Your Kids Well in a World That Doesn’t, emerged out of that life-changing program. Now, I’m working on my next book about Smokin’ Hot Moms! 1. Walk your talk – Let the way you live teach others they can have a life full of energy and joy. 2. Persevere – Just keep at it. Some people might have instant success, but not me. I just kept putting one foot in front of the other, but never letting up. 3. Be yourself – Find your own style of leadership. Stay out of the “compare and despair” cycle. You have your own solutions to bring to the table. 4. Focus on what you know instead of what you don't –There will always be more to learn, but there are people who need access to what you already know. Share your knowledge and trust that you will keep learning as you go. 5. Don't go it alone – Being a health leader means having a big vision of spreading wellness. Big visions need support. Get support, personally, and professionally. Follow her on Twitter @SmokinHotMoms. And check out her blog. We announce Health Leadership Awards up to $5000 to outstanding graduates which motivate and IINspire our community.